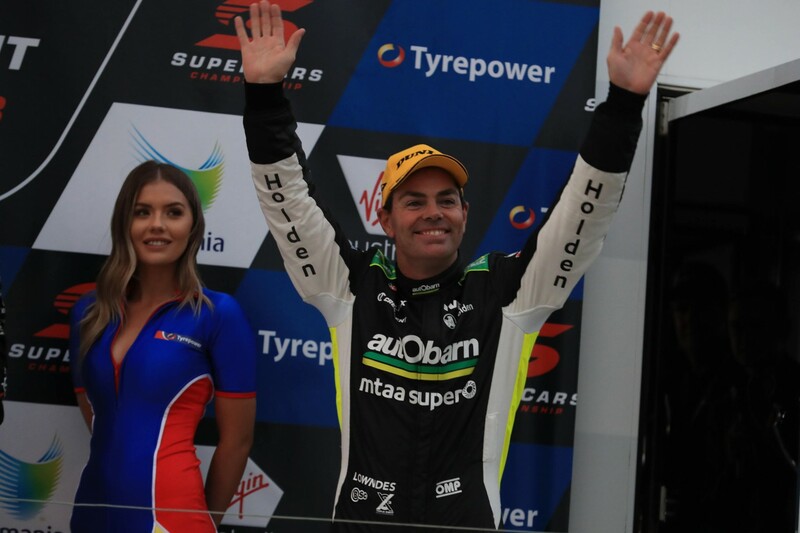 Craig Lowndes says work on improving his braking performance in the Autobarn Holden contributed to a drought-breaking podium at Symmons Plains. Lowndes scored his first Supercars podium in 12 months by finishing second to Triple Eight team-mate Jamie Whincup in the Tyrepower Tasmania SuperSprint opener. It followed strong performances from the veteran in practice and ARMOR ALL Qualifying, with the latter yielding fourth on the grid. Despite enthusing over this year’s return to the 2016 tyre and the new ZB aero package, Lowndes had averaged just 16th in qualifying across Adelaide and Albert Park. Mistakes on hotlaps at both events cost Lowndes dearly, but left him confident that the potential for more was there. 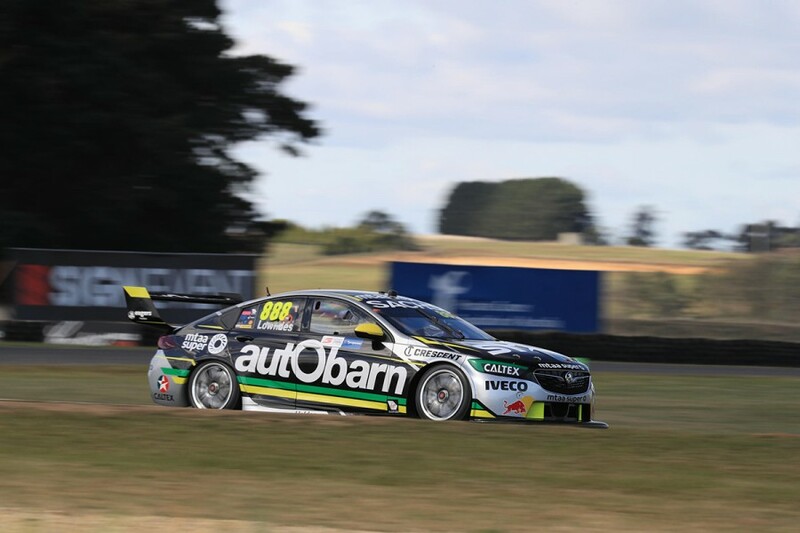 Lowndes has a strong record at Symmons Plains, including his previous podium finish, which occurred in the red-flag shortened Saturday race last year. However, he revealed that improvements to his braking technique have also played a role in his resurgence at a track that features three crucial stops. “We’ve been working on the modulation of the brake pedal, with me, the blipping and everything to try not to spike and peak the brake pressure, which obviously locks up a tyre, locks up a rear and spears you off the track,” he said. 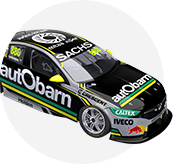 Lowndes stressed the work put in by those on his Autobarn Lowndes Racing entry, which runs as a third Triple Eight car alongside the Red Bull Commodores. “It feels great, there’s no doubt about it,” he said of his best finish since the Sydney Motorsport Park event in August 2016. “We have copped a little bit of criticism because obviously we have been floundering a little bit. “But we’ve been working really hard for the last 15, 16 months with the team. “I know we’re part of Triple Eight, but when you’re sort of next door, it does feel a little bit different. 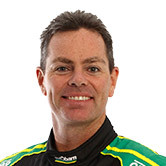 Lowndes believes pitstops – which his crew undertakes in tandem with customer Tekno Autosports – are among the areas still needing improvement. “We had a slow pitstop on the right-front and we’ve got to clean up that side up if we want to continue to be on the podium,” he said. “That was the disappointing part of [the race]. We came out and Jamie already had a good, healthy gap on us at that point.